Jamie and Shane had a fall wedding on October 12th, 2013. The ceremony was at Our Lady of Victory Basilica in Lackawanna, NY. The wedding reception was at the Statler in downtown Buffalo. 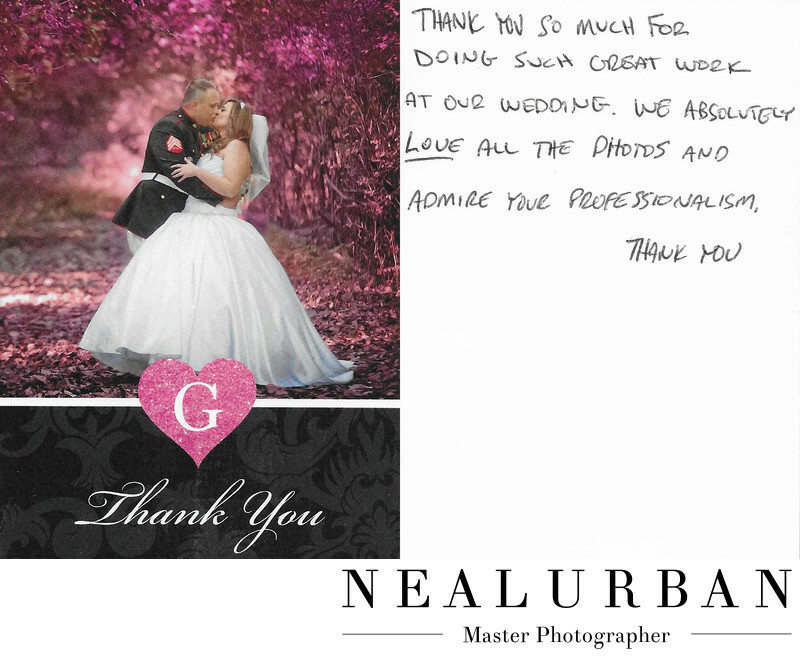 This was one of the images from their wedding day they used for the Thank You card. We knew this was going to be a favorite for them! We went to Tift Nature Preserve for the wedding photos (idle). Jamie really wanted fall foliage and colors. Unfortunately, we did not get that on their wedding day. The leaves did not change color until after their wedding. She was a little bummed, but there was nothing she could do to change it. Nature is nature. The location was still beautiful and we got some amazing images. After we went through their images and did the basic editing, Neal wanted to surprise Jamie with this image. She loved pink. The entire wedding was pink. Jamie's mother loved pink just as much. The bride got ready at her parents house and everything was pink. Mother of the bride even drove a pink car. Since the bride did not get her fall foliage colors, Neal decided to turn the leaves pink for her in this image in post production. She absolutely loved it and was so happy we could do this for her. Shane even loved it. I guess he has to love pink as well! Location: 107 Delaware Ave Buffalo, NY 14202 United States.